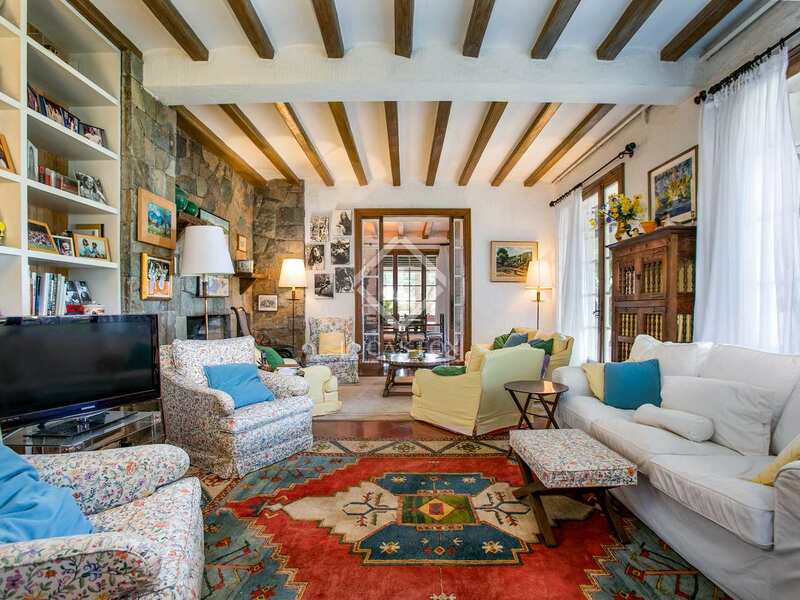 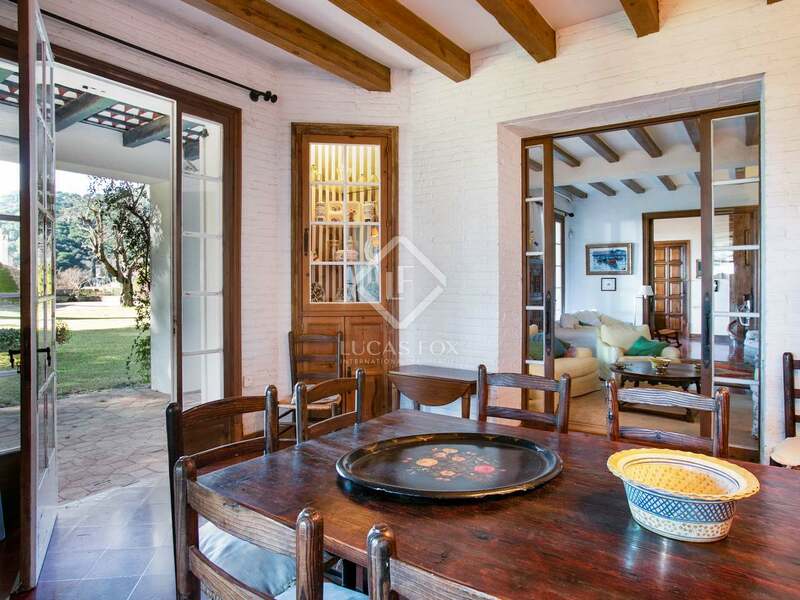 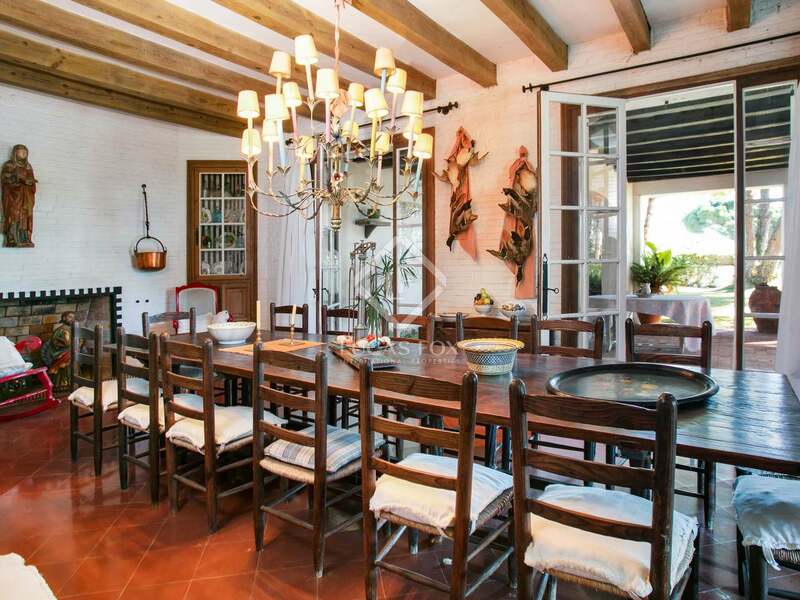 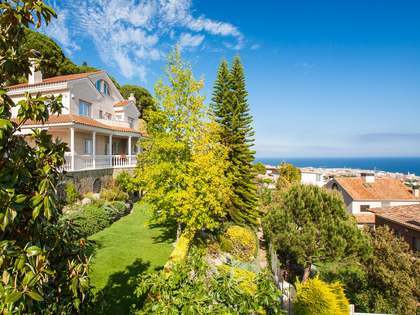 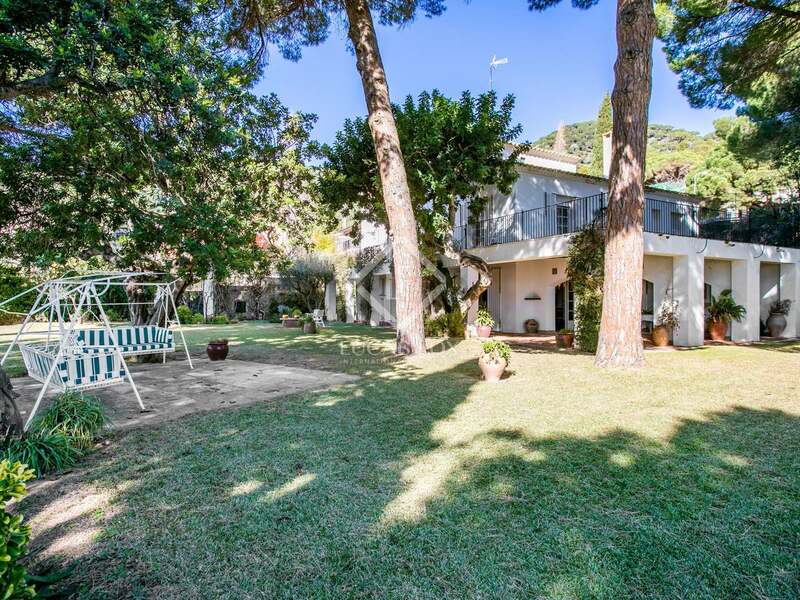 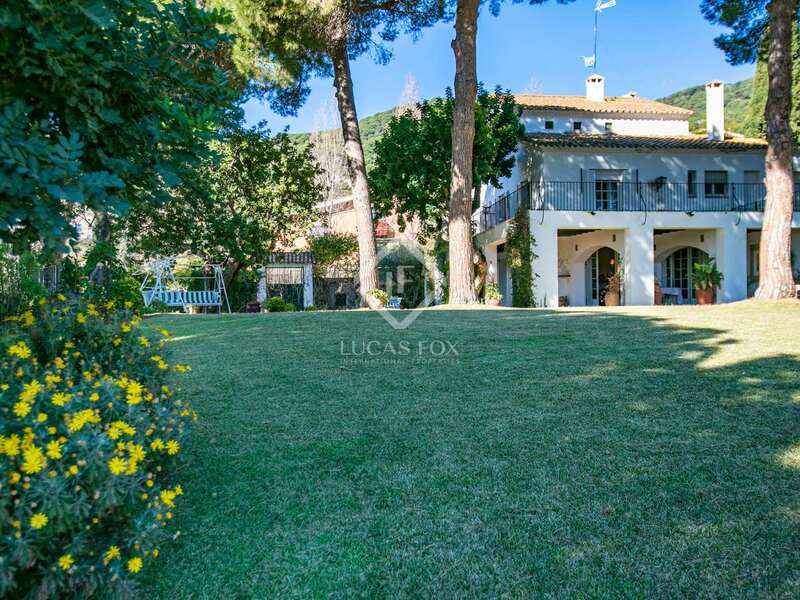 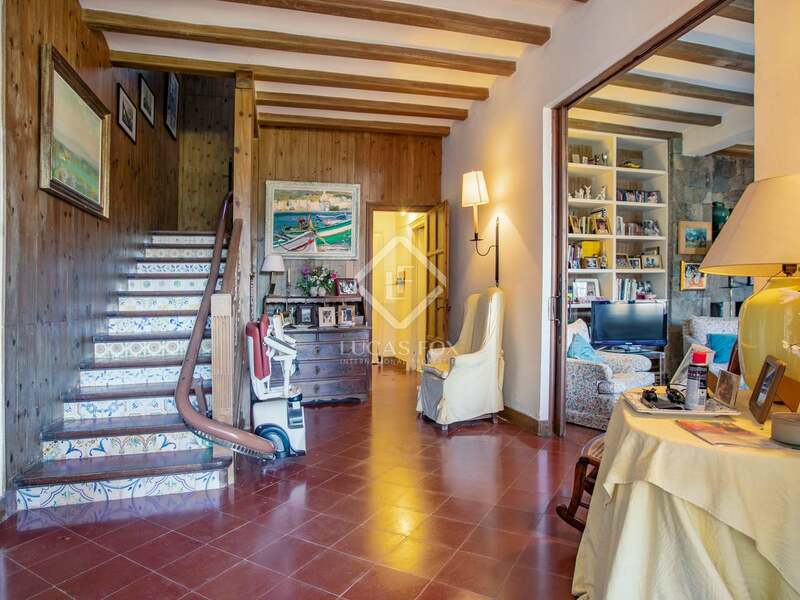 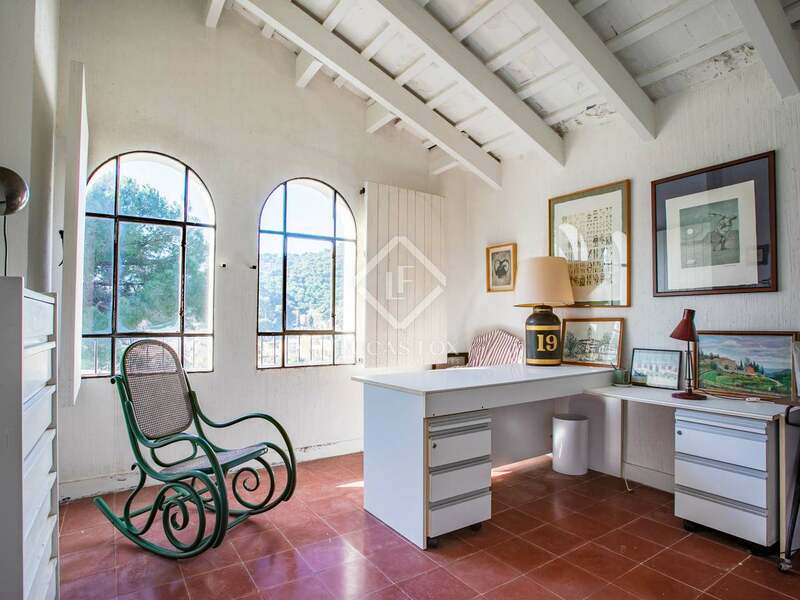 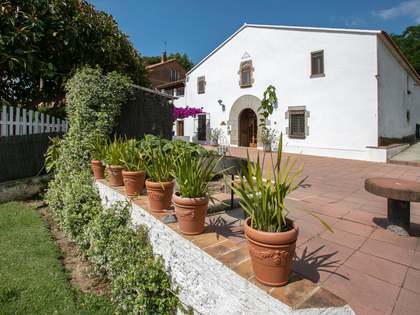 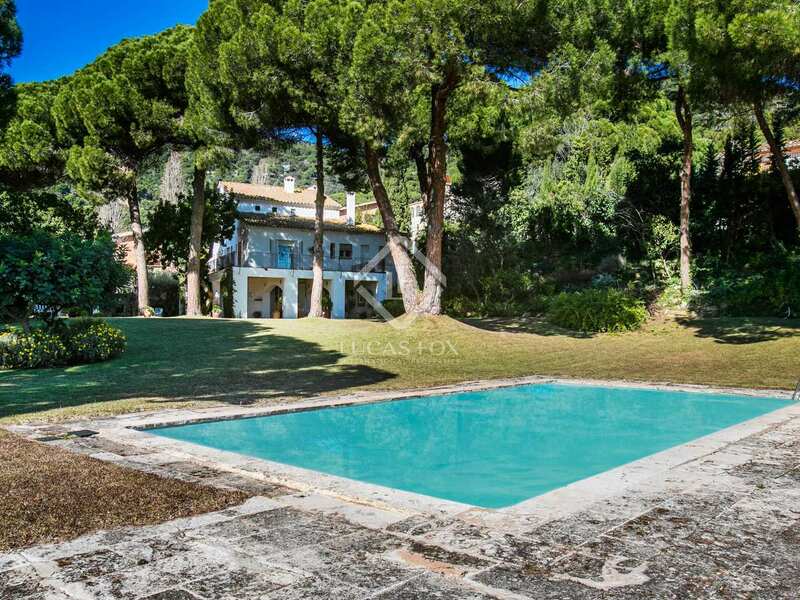 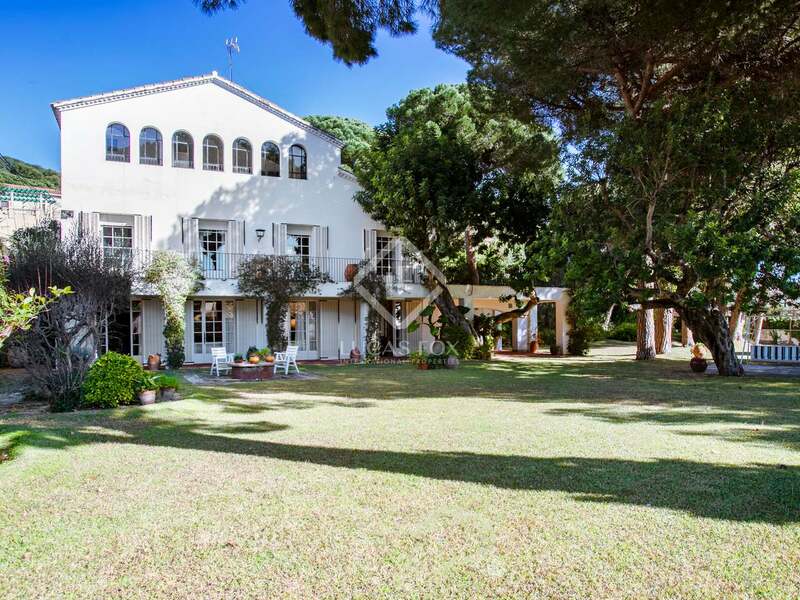 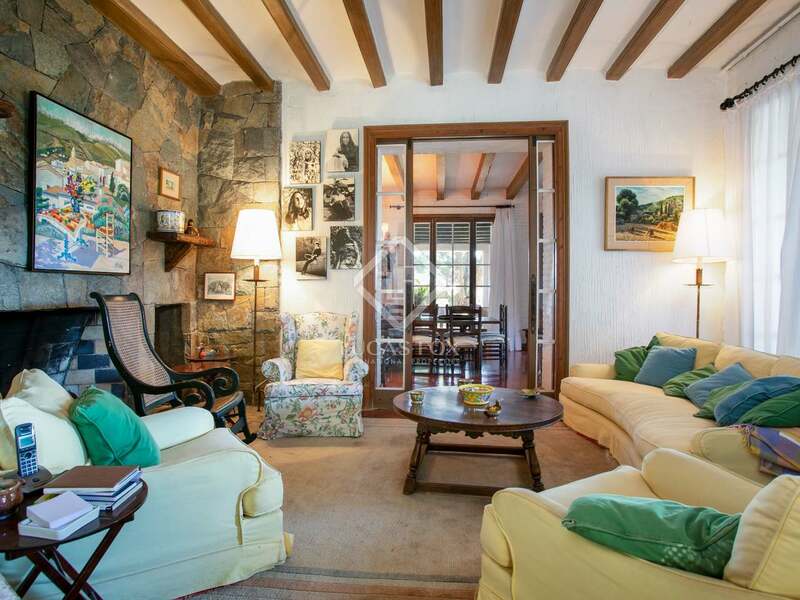 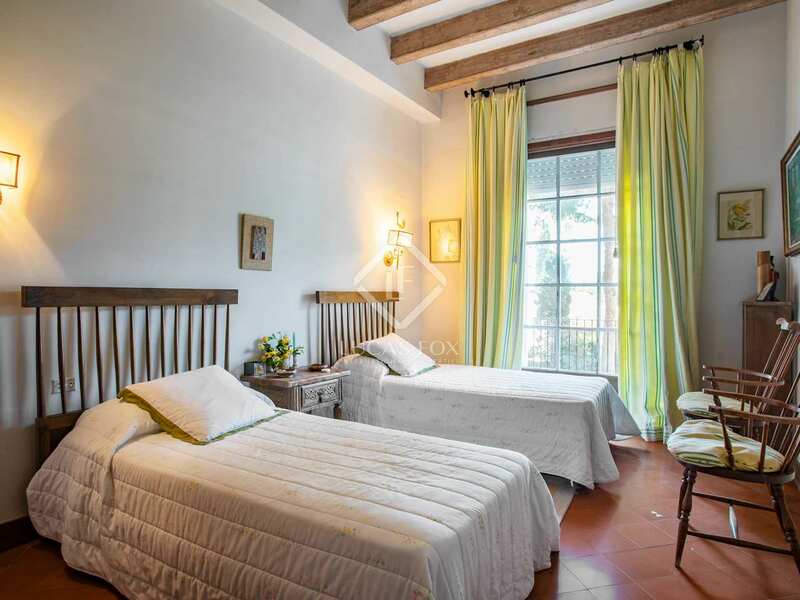 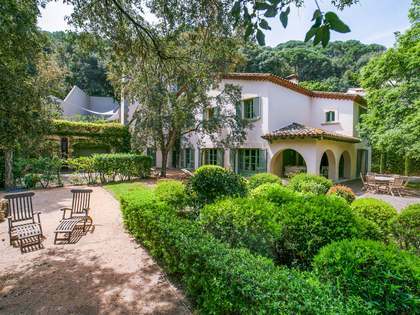 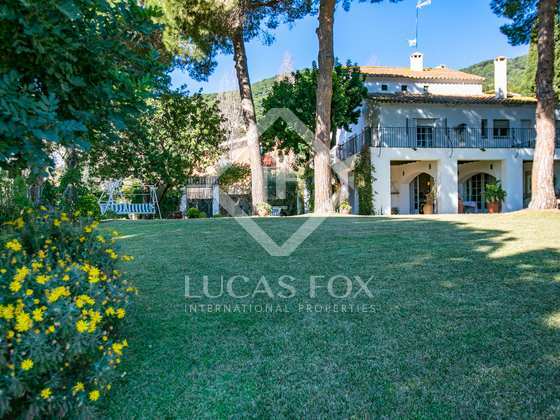 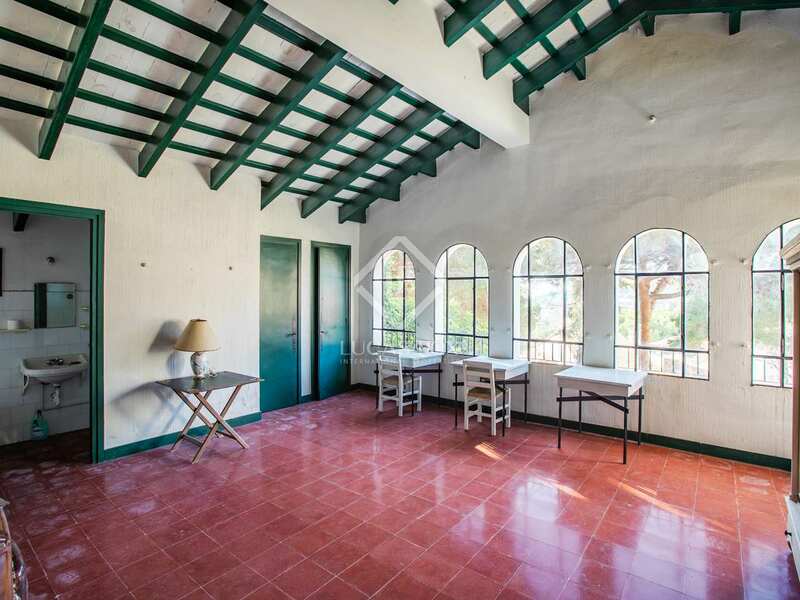 Dating back to the early 1900s this historic property was built as a summer residence for a wealthy Catalan family. 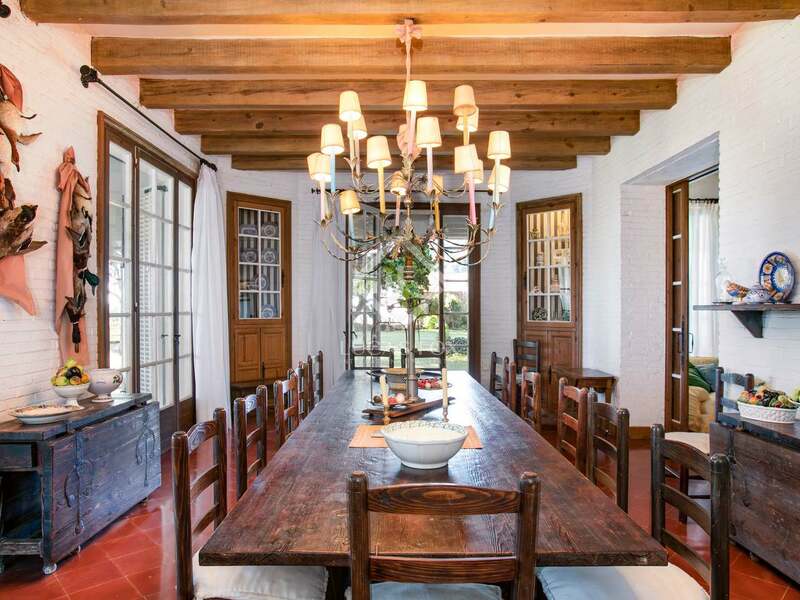 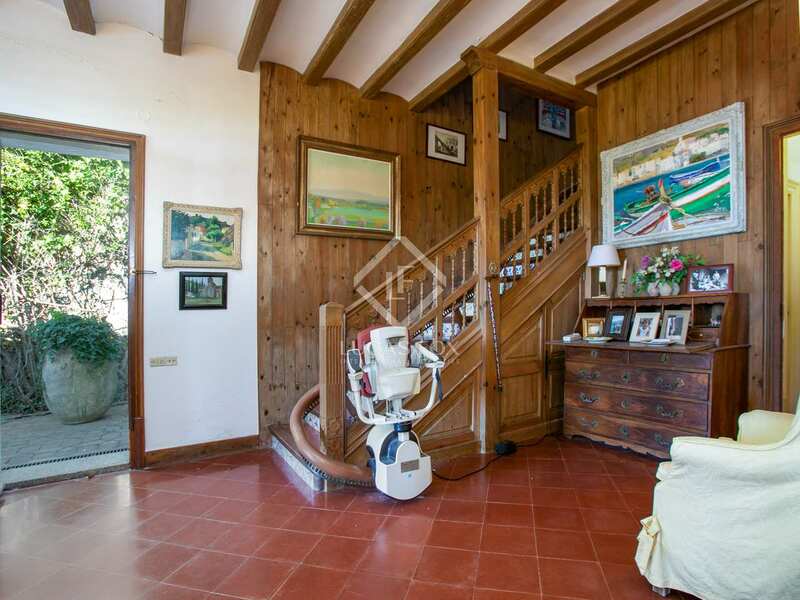 It was updated and extended in the 1960s and offers many attractive original features. 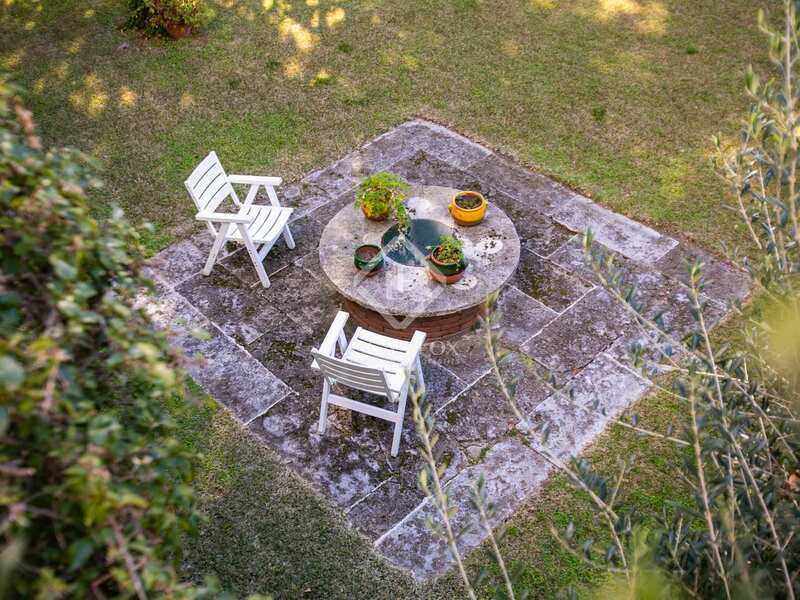 It's southerly orientation means it receives lots of natural light and views over the nearby hills. 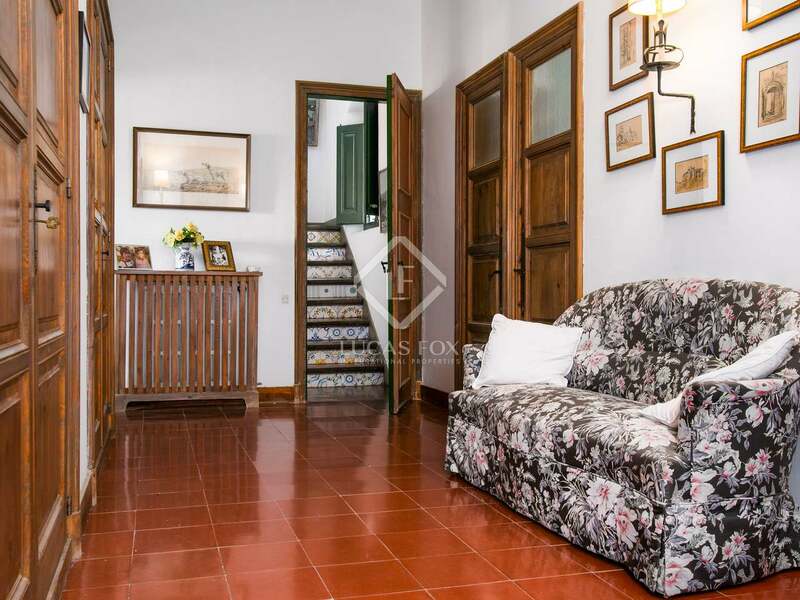 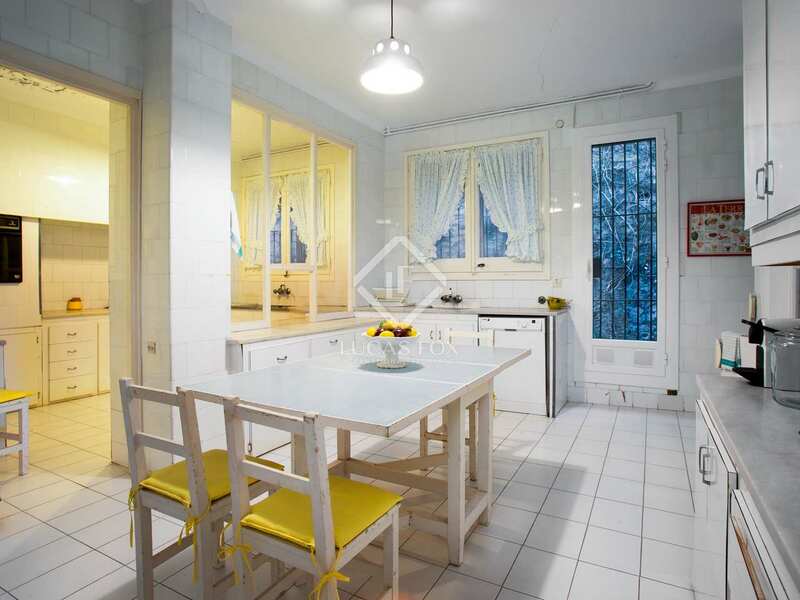 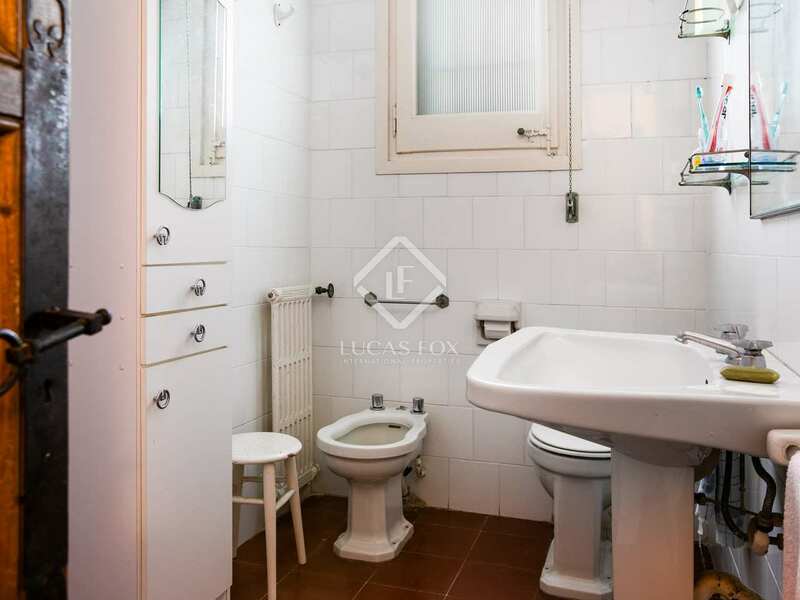 The house is distributed over 3 floors, and although well-maintained, it is in need of a full renovation. 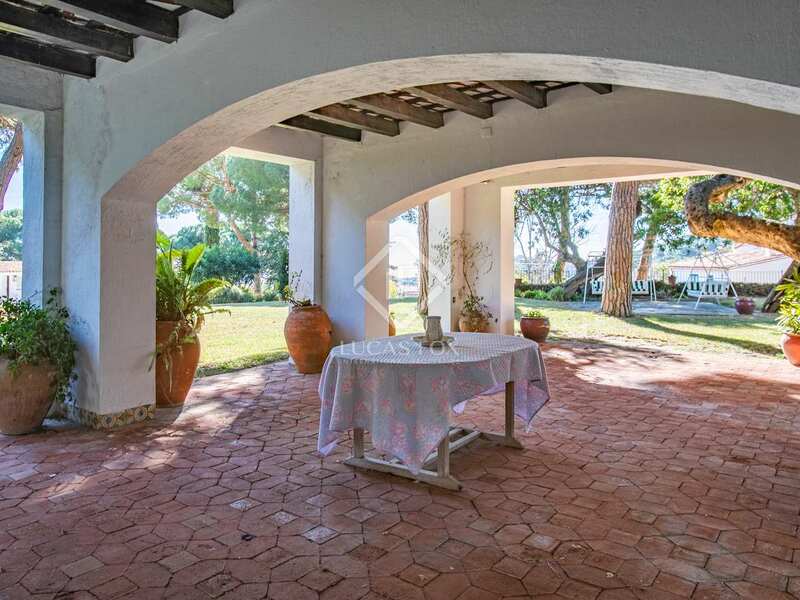 On the ground floor there is an entrance hall, a living room with a fireplace, a 40m² dining room with doors out to a large, covered outdoor dining area. 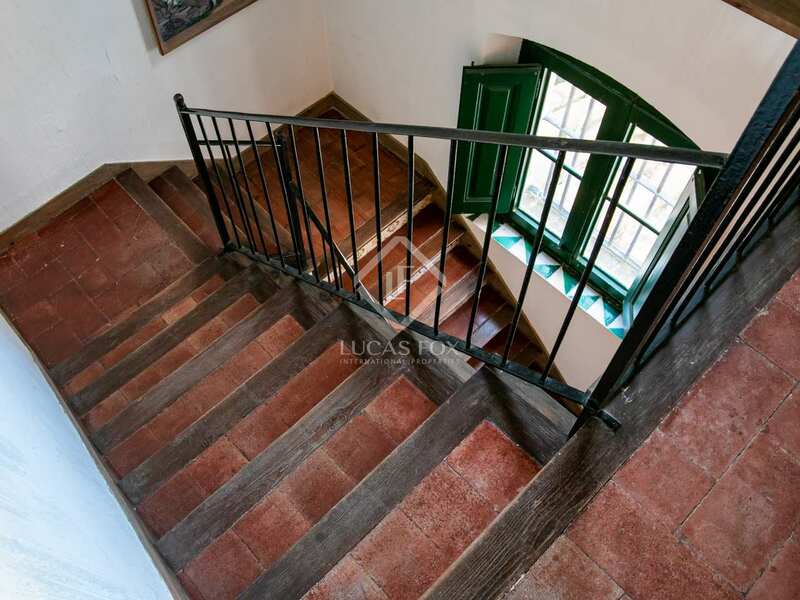 Also on this floor is the kitchen, a laundry room, a guest WC and storage room. 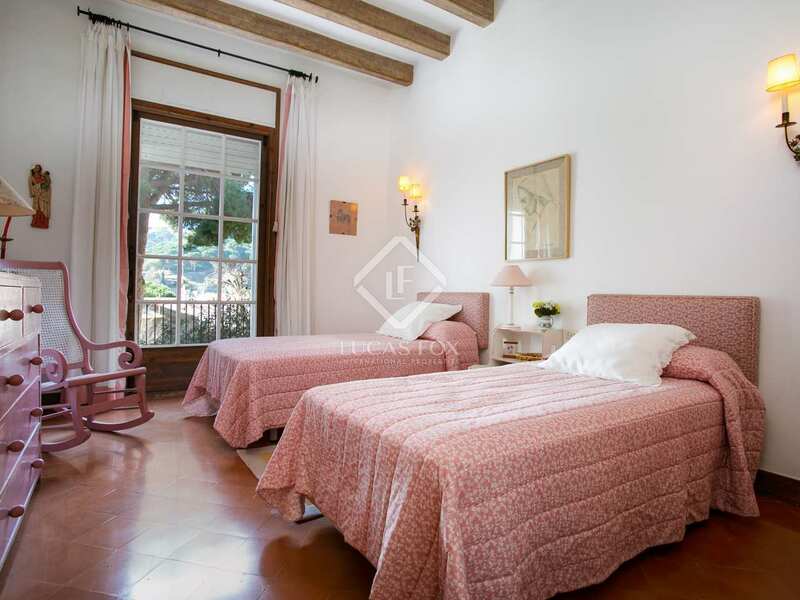 On the first floor there are 5 double bedrooms (2 with ensuite bathrooms), 2 further bathrooms and a cleaning room. 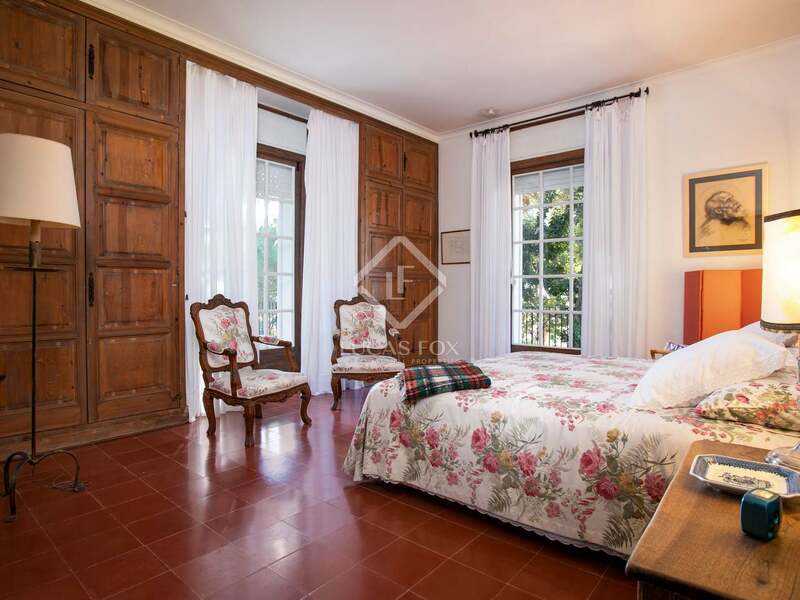 All the bedrooms have doors to a terrace that skirts the front and side of the house. 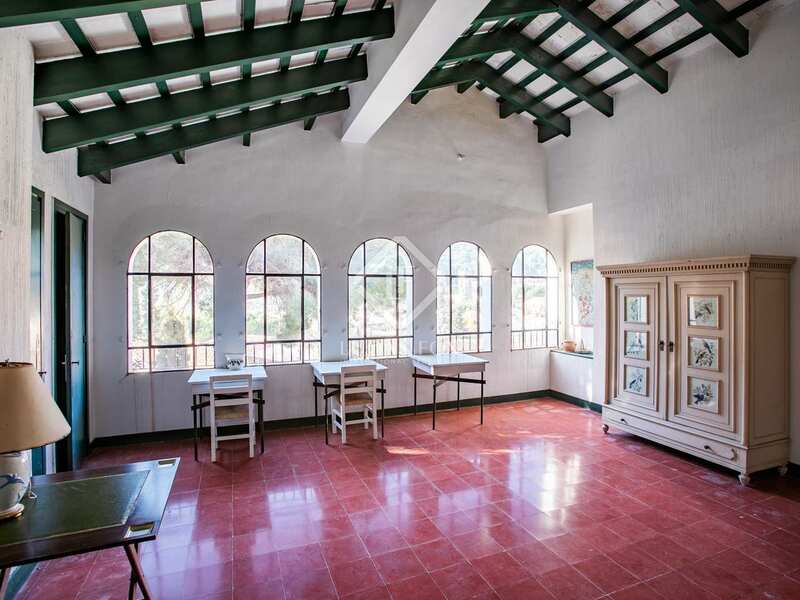 On the second floor there is a multiuse space, 3 further bedrooms and a bathroom. 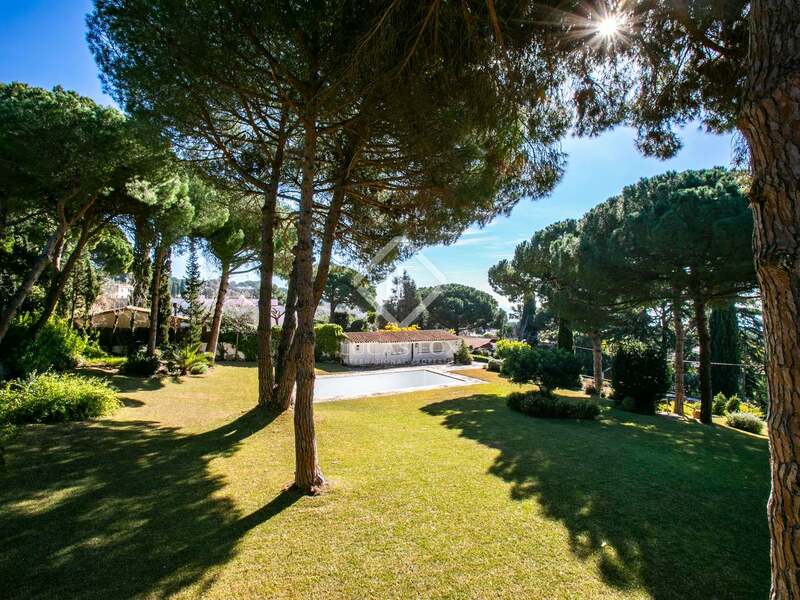 Outside, the garden has a swimming pool and many mature trees to offer shade in the summer. 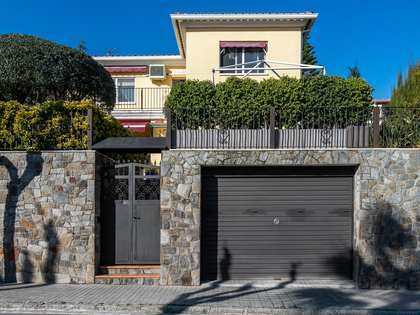 There are 2 separate garages for a total of 3 cars. 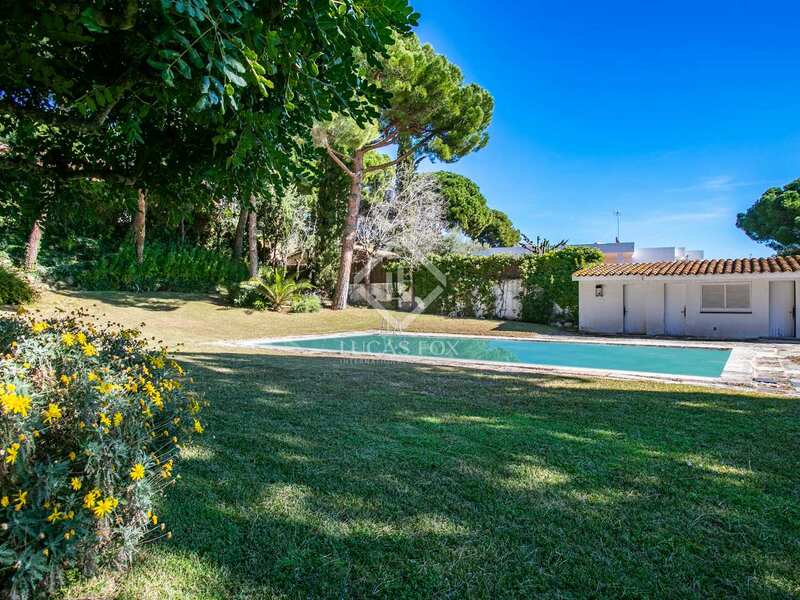 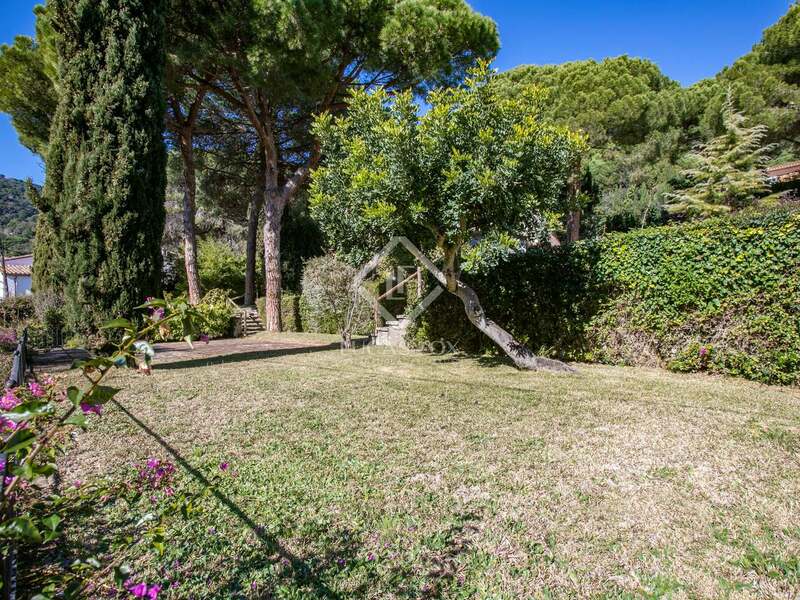 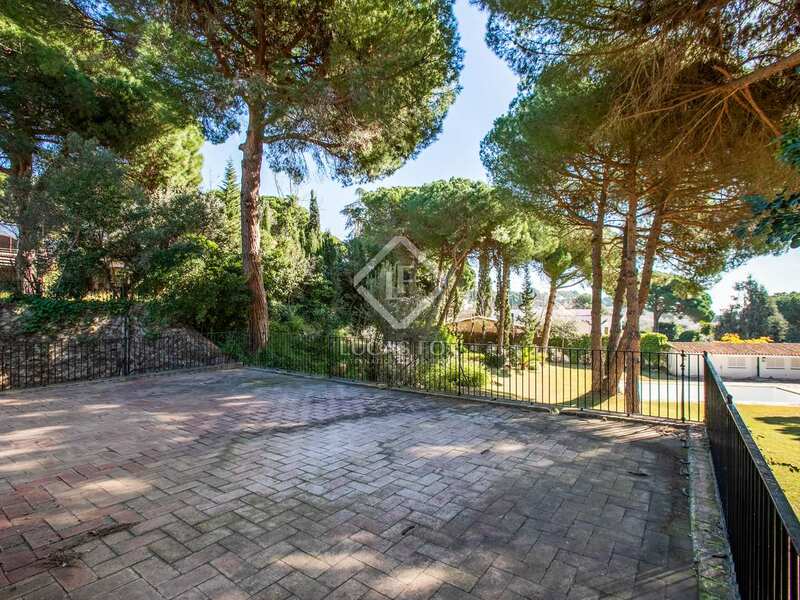 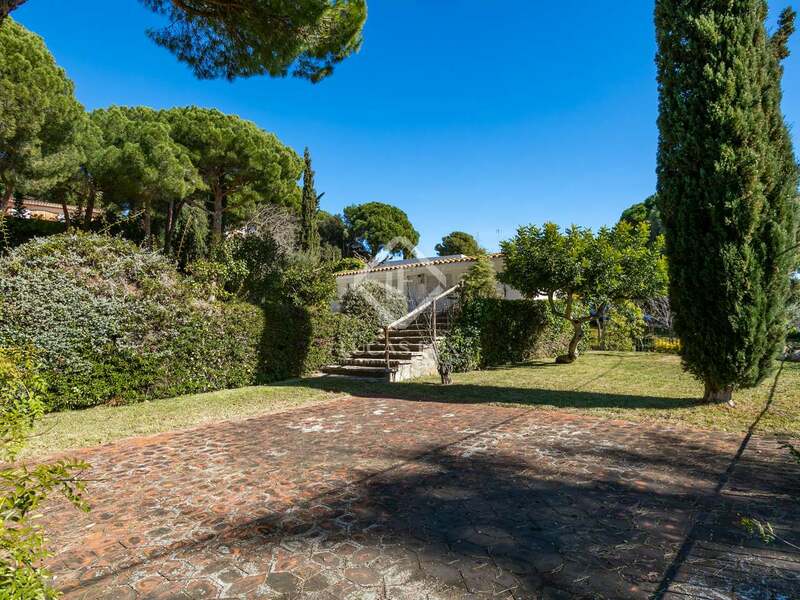 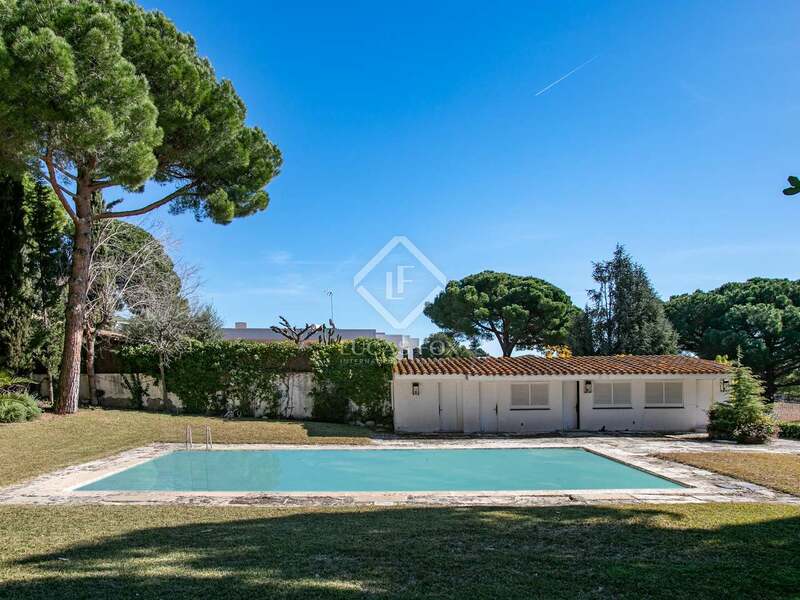 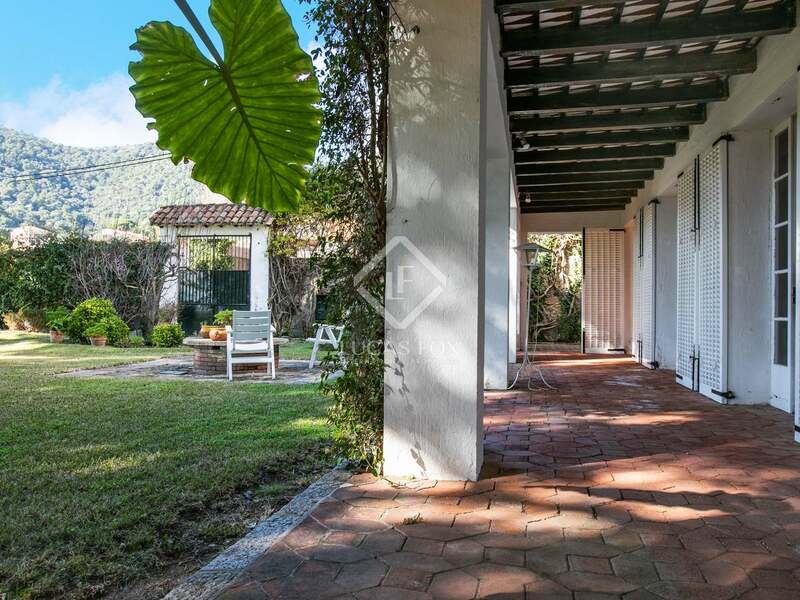 Although sold as one property, there is the possibility to divide part of the garden to create a separate 1,000m² plot with its own entrance. 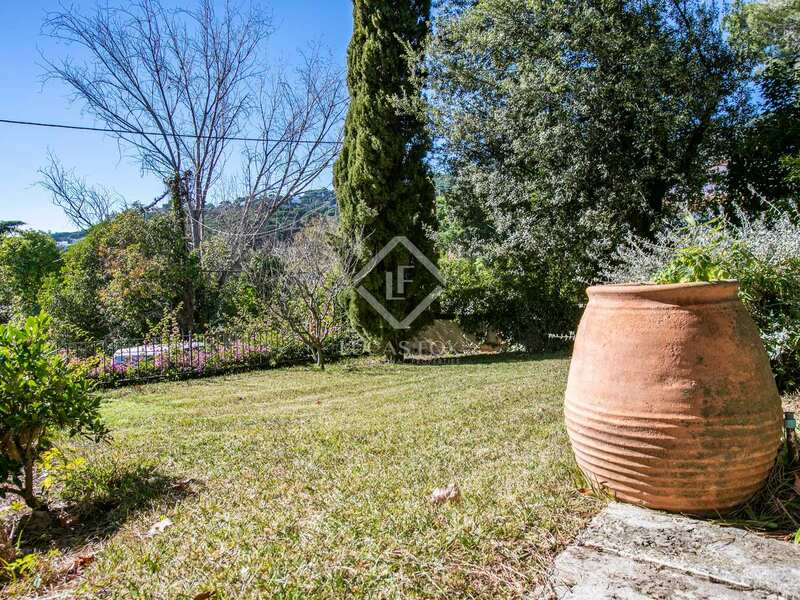 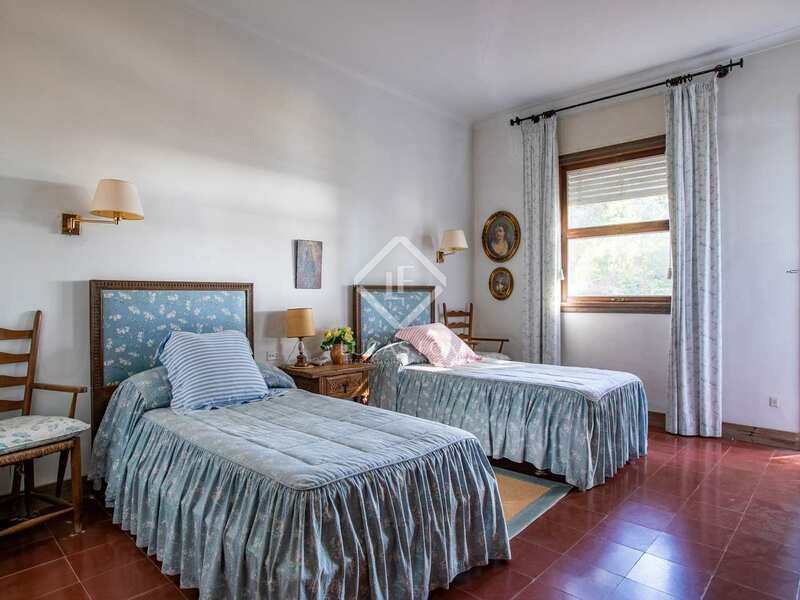 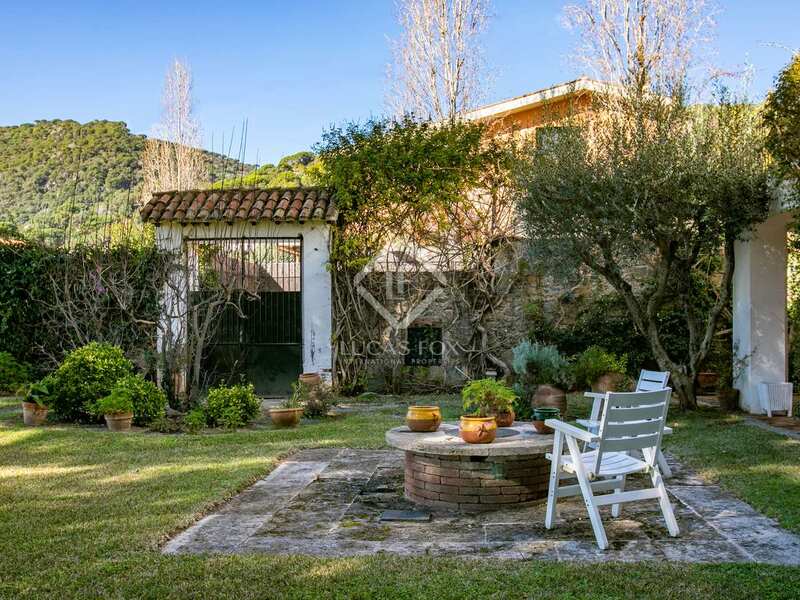 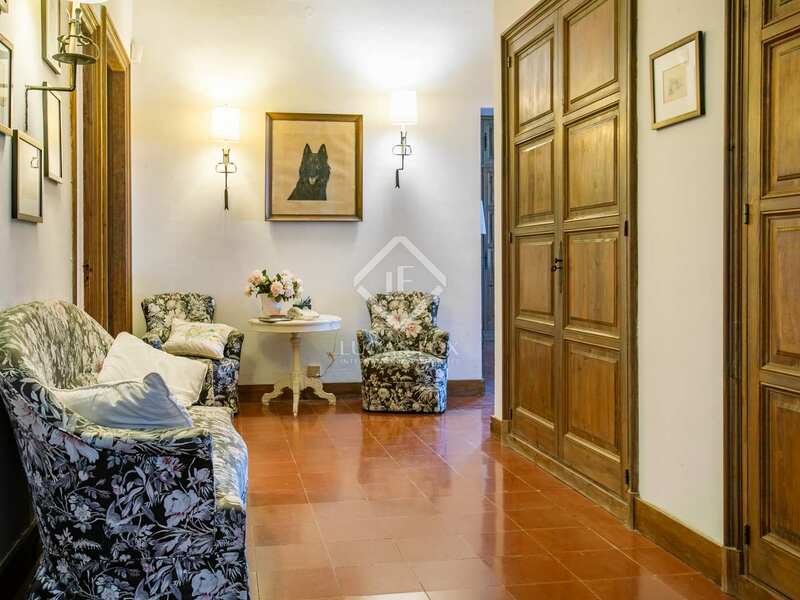 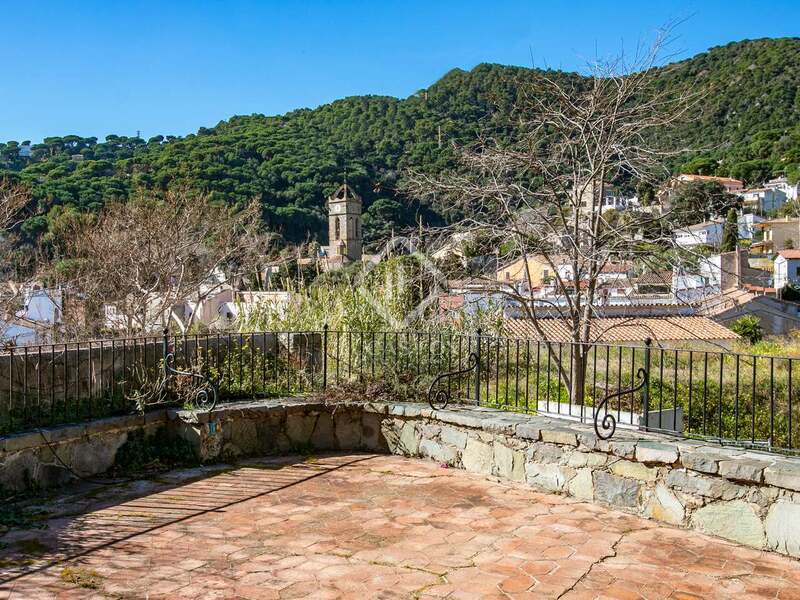 A fantastic opportunity to purchase and renovate a historic house in a quiet area just 25 minutes from Barcelona city. 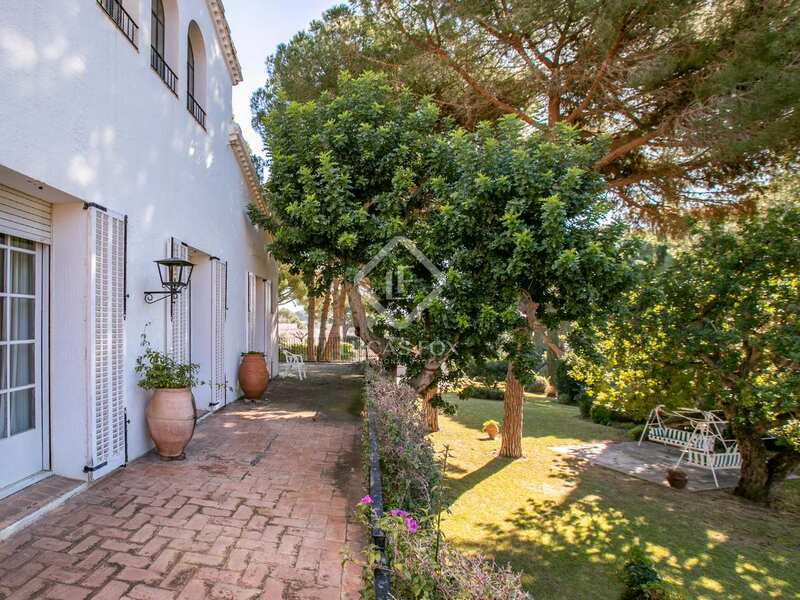 The property occupies a privileged location just 5 minutes walk to the centre of the village, with its shops, bars and restaurants. 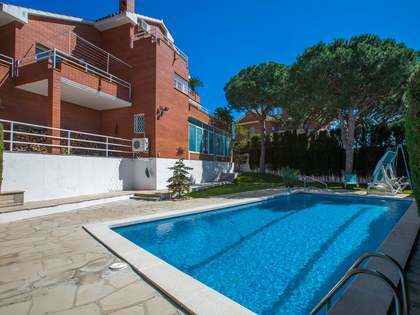 Barcelona city can be reached in 25 minutes by car and the train and beach are just 2km away. 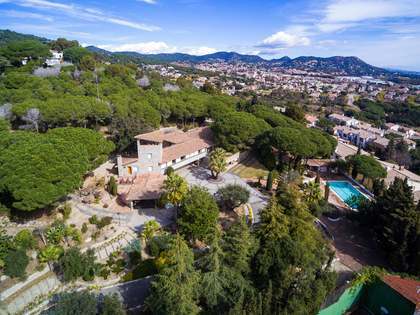 There is an international school just 15 minutes away.